Supplies needed; Styrofoam ball, white yarn, white felt, pink felt, pencil, glue, festive ribbon, 2 blue beads or micro pompoms, small black pompom. 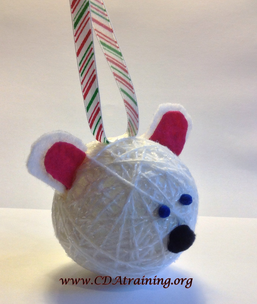 Directions; Wrap Styrofoam ball in yarn, until the ball is completely covered and Styrofoam is no longer visible. When the yarn completely covers the ball, tie a knot and cut off the excess yarn. Using the white felt, use your pencil to draw two long oval shapes (for exterior ear), then draw two slightly smaller shapes using the pink felt (inner ear). Cut out both sets of ears. Glue the pink felt to the center of the white felt, to create the ears. 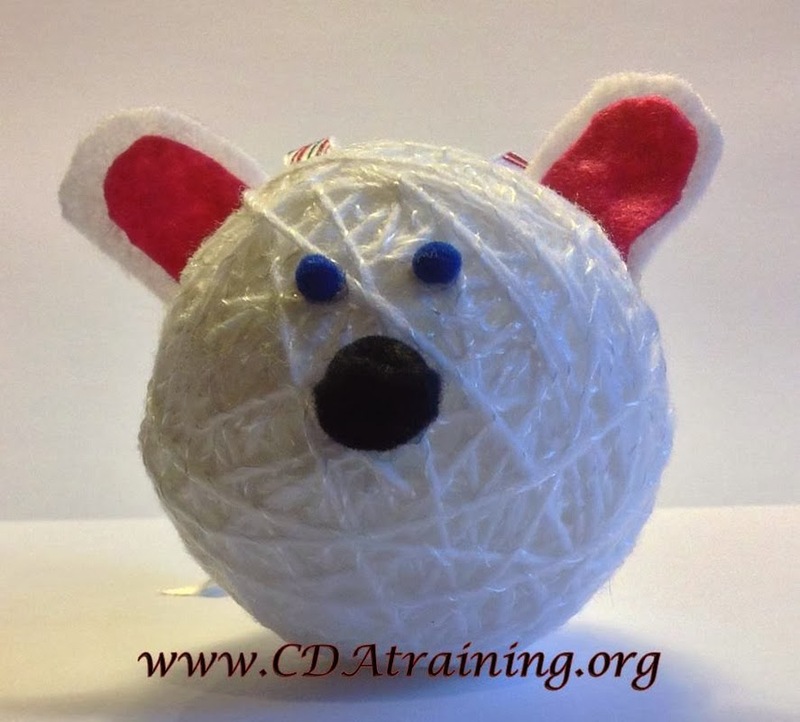 Once dry, glue the ears to the desired location on your yarn wrapped foam ball. Glue your small black pompom in the nose location, next glue on the blue beads or micro pompoms as the eyes. Finally, cut about 6-8” of ribbon and glue it centrally between the ears. Allow to dry before hanging.